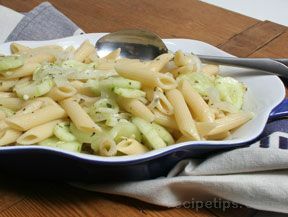 Lemony and fresh, this pasta salad will be perfect with fresh garden cucumbers and tomatoes. With no mayonnaise its easier to bring to a picnic or potluck, too. 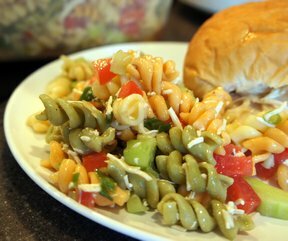 Place cooked pasta and prepared vegetables into a large bowl. For dressing, combine ingredients and mix well. Pour over pasta and vegetables. Cover and chill for 2-24 hours. "This was a little drier than I wanted it. Should have doubled the dressing. I liked the combination, just needed more zing."